New yarn has arrived in time for your Spring knitting! 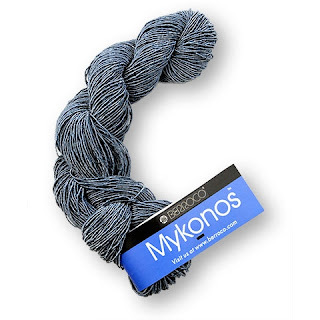 Berroco Mykonos yarn is a silky blend of linen, cotton and nylon that knits and crochets beautifully, creating fabrics with amazing drape. Each 50 gram ball has 142 yards of yarn that knits to a gauge of 21-24 inchs over 4 inches on a US 4-6 needle. The perfect DK weight yarn from a new summer tee! Come pick up your favorite color and start your Spring knitting in style. Buttons, buttons, buttons! More buttons for you at a great price! Bulk Buy Bags of Buttons are now available in store and online! Each bulk button bag contains lots and lots of random buttons of mixed colors, assorted shapes, variety of sizes for arts, crafts, sewing, cardmaking and scrapbooking. Bulk bags of buttons are now available in 50 gram (70-350 buttons) and 250 gram (350-1750 buttons) bags! Lots and lots of buttons... various colors of all assortments! Assorted Shapes! Varied Sizes! Can be used for all Art and Crafting! Completely random selection which contains leathers, metals, plastics, mother of pearl, wood, and many, many, many different button mediums. These are new, high-quality buttons that will be enjoyed for many years! And when you stop by this week, check out our Spring Basket of Eggs - each egg contains a special gift for you at checkout. The Spring Bunny has left a basket full of eggs that contain a special surprise for all our wonderful customers who shop now through Sunday, March 27th, at The Yarn and Fiber! The Easter Bunny left us a note saying that if you make a purchase, you get to pick a lucky egg that contains a special discount just for you! Spring Egg pickings are now through Easter Sunday, 2016! See you soon! Don't live locally? Enjoy our Spring Egg Special receiving 15% off all online orders through Easter Sunday at midnight! Simply enter coupon code SPRING16 at checkout and your discount will apply to all instock purchases. Note: Special discounts in store and online excludes classes, spinning wheels and looms. Cannot be combined with any other offer. 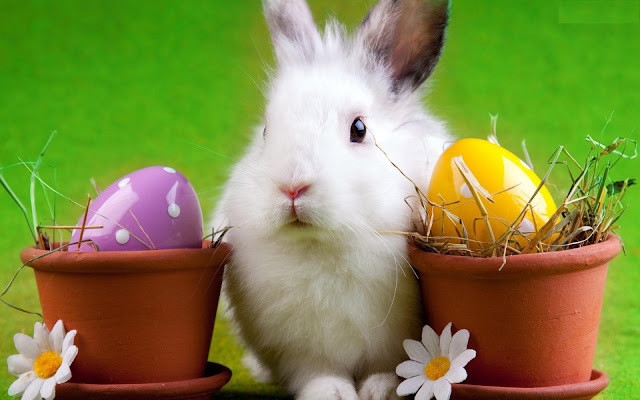 Hop on in and see what the Easter Bunny has left for you! The Easter Bunny has left a basket full of eggs that contain a special surprise for all our wonderful customers who shop now through Easter Sunday, March 27th, at The Yarn and Fiber! The Easter Bunny left us a note saying that if you make a purchase, you get to pick a lucky egg that contains a special discount just for you! Easter Egg pickings are now through Easter Sunday, 2016! See you soon! Don't live locally? Enjoy our Easter Egg Special receiving 15% off all online orders through Easter Sunday at midnight! Simply enter coupon code EASTER16 at checkout and your discount will apply to all instock purchases. Free Shipping on Entire In-stock Order now through March 15, 2016 and Bulk Value Needle Felting Needles! Free Shipping now through March 15, 2016 on all in-stock orders! Enter coupon code FreeShip at checkout! Like to needle felt? Did you know we have the highest quality needle felting needles available as a bulk value order? 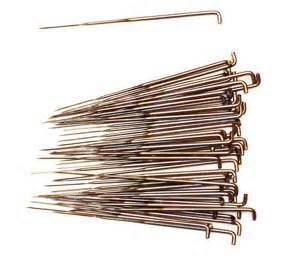 Yes, we offer Fast and Fine Gauge Needle Felting Needles in packs of 5 or 25 needles - our bulk value pack of 25 needles saves you 20% everyday. 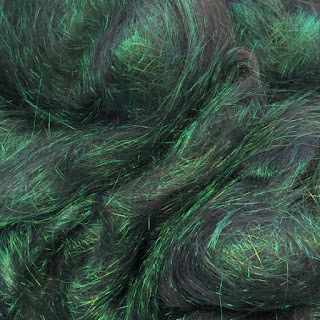 Lots and lots of fiber is available in many forms for needle felters and fiber blenders - local wools, alpacas, mulberry silk lap, silk hankies and lots and lots of Angelina is now in stock! Like Free Shipping? Us too! Enter FreeShip in the coupon code box at checkout and receive free shipping on all in-stock items now through March 15!